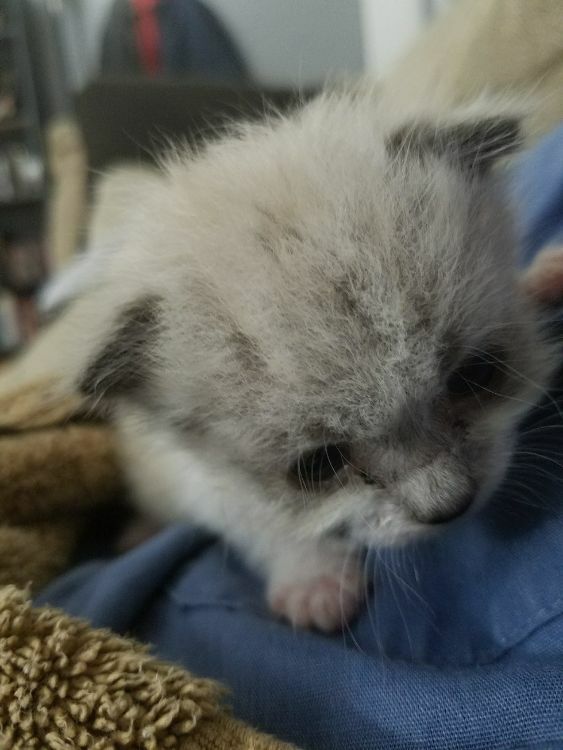 Kittens don't open their eyes until they are seven to ten days old, and when they do open them, they can't see very well. So imagine finding a tiny, infant kitten with its umbilical cord still attached and its eyes firmly glued shut. That's how our story today starts out. Imgur user bmusser was just about to leave for work when he heard a piteous cry from his neighbor's yard. Just on the other side of the fence, he could hear a minuscule mew that touched his heart. A tiny ball of fur lay in the weeds. 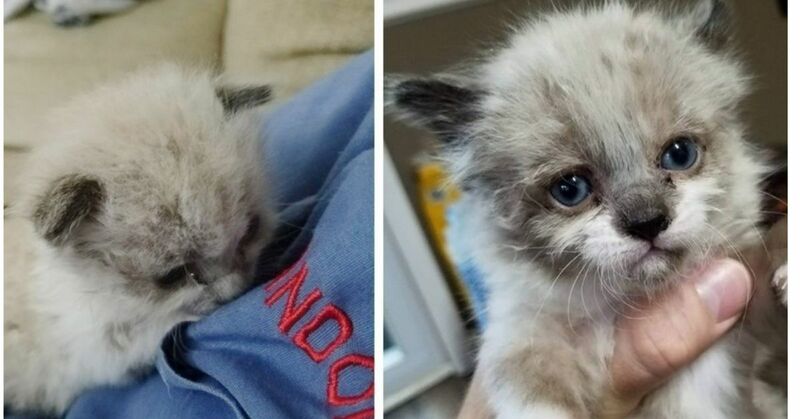 With no mother cat nearby, he picked the baby up and took it into the house to his wife. Of course, they immediately went to the store to buy kitten formula and bottles to feed the little feline with. 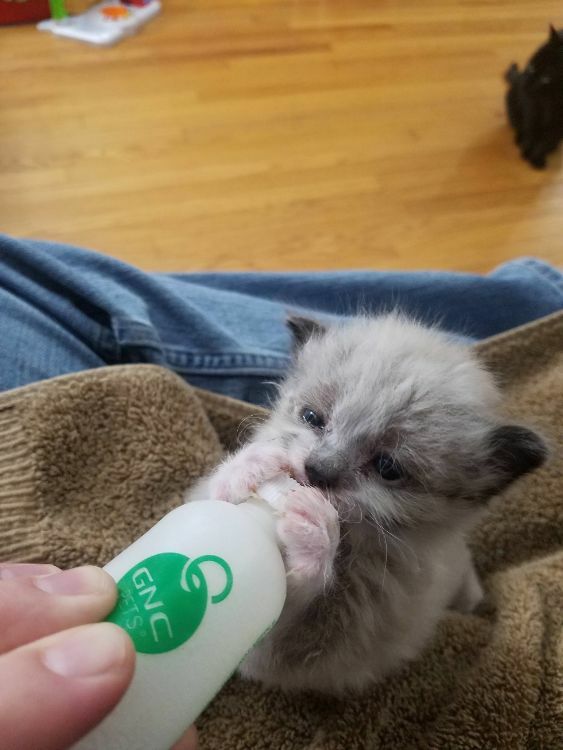 He eagerly sucked the bottle to get some warm milk into his baby tummy. Once he did that he fell asleep. 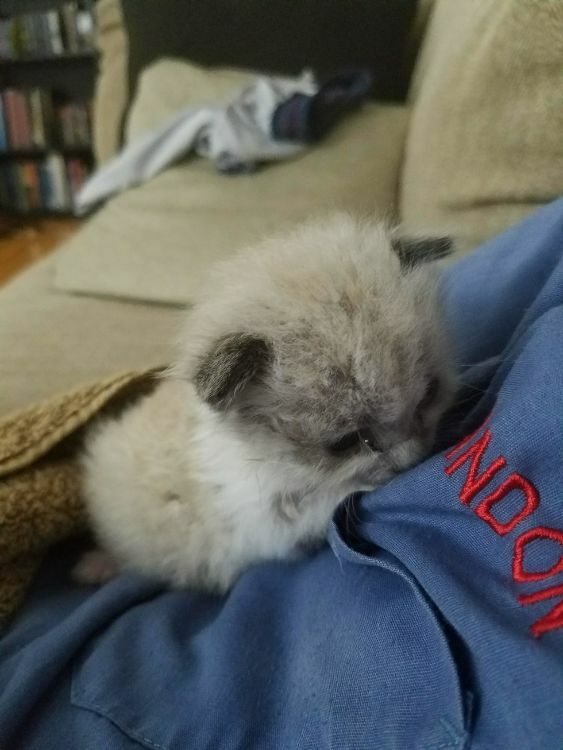 Since the umbilical cord drops off within two or three days of birth, the veterinarian they took the kitten to knew he was very, very young. Not only were his eyes still closed, but his ear canals were as well. He was truly blind, deaf and totally dependent. 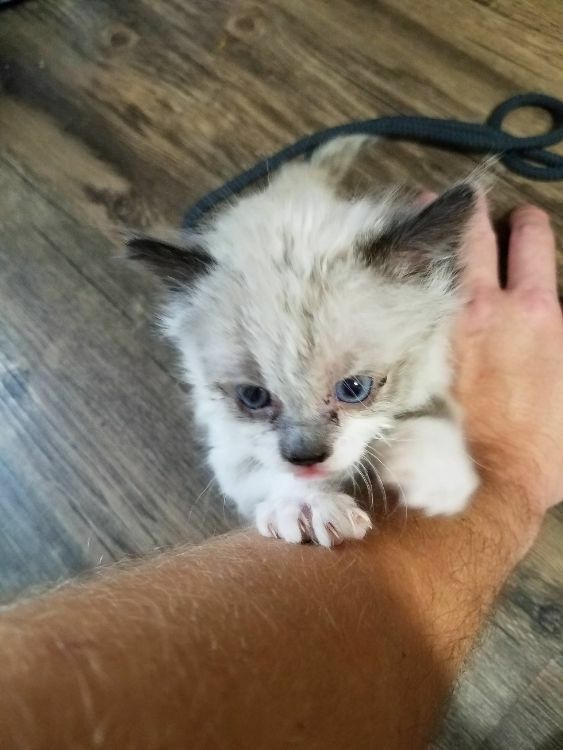 But kittens develop rapidly, and this baby—whom they named Casper—was soon crawling up his human's arm for attention. 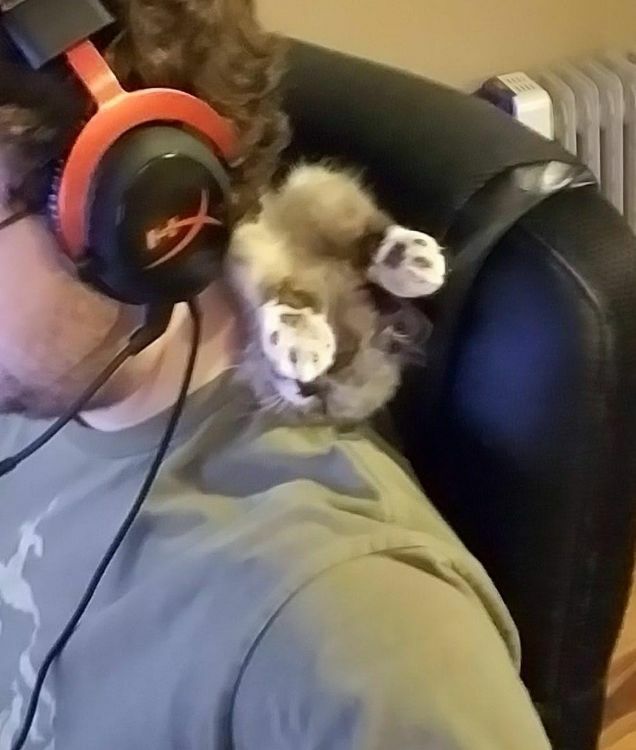 His dad said, "He'll follow us everywhere and either hang out at our feet or sleep on our shoulders." Casper liked his new home with his mom and dad, and they were equally as happy to have him there. Once he could eat on his own, the time-consuming task of bottle-feeding ended. He was strong enough to wander around and explore in no time. Chasing adventures might be fun, but it is exhausting work, and Casper often flopped down on his dad and collapsed in sleep. Casper wasn't alone in the house, though. 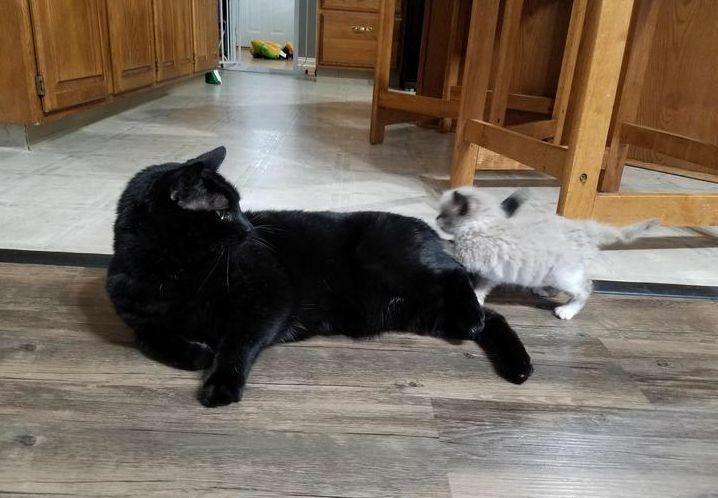 Besides his mom and dad, he had big brother Shobo there to teach him how to be a cat. And just as importantly, junior was always a good playmate. 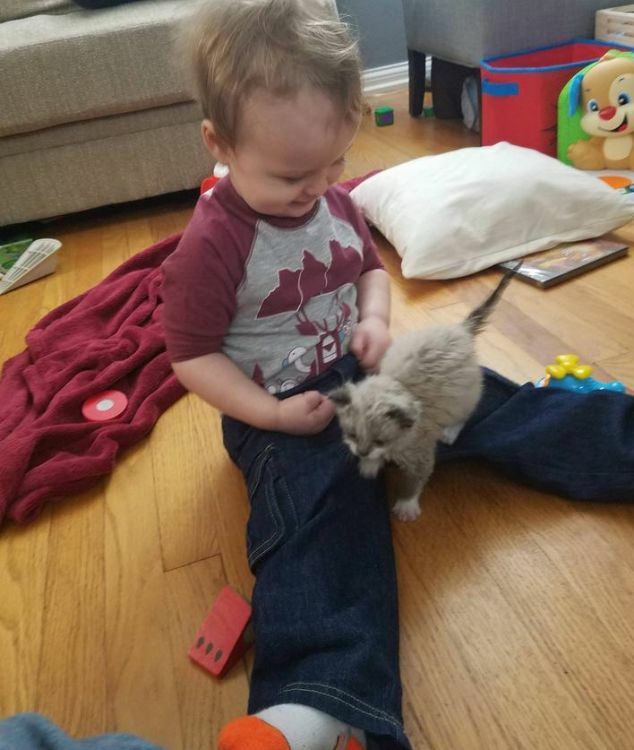 Having been raised with cats, the young boy was gentle with little Casper. 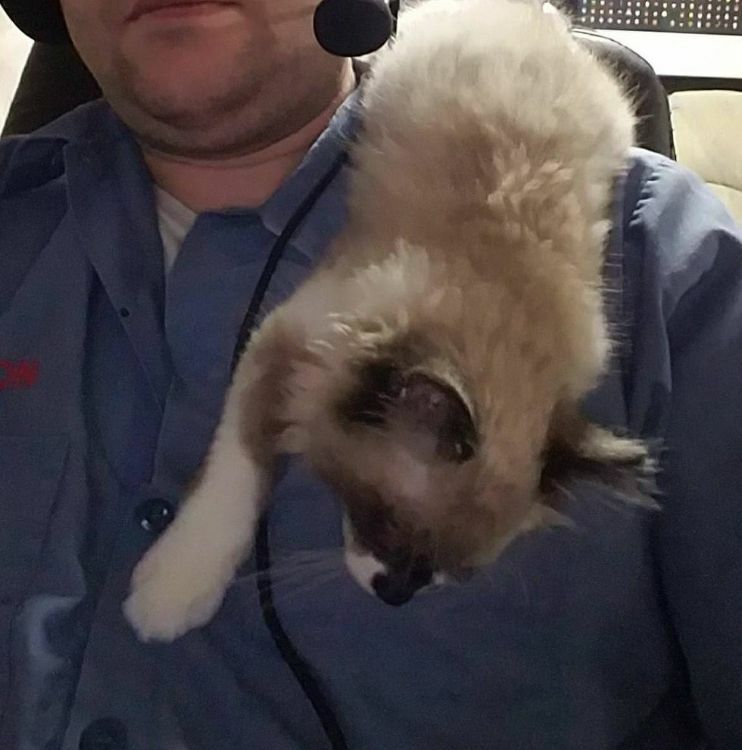 After a mere two and a half months, Casper had grown into a gorgeous kitten who didn't realize he was kind of big to sleep on shoulders the way he's always done. That, of course, didn't stop him from trying! Watch the video of the journey this lucky little feline has been on and marvel at his beauty today. It was fortunate for him that his dad responded to the teeny noise he made when he was lying in the grass, exposed to the world. What would you have done? Called a rescue or taken on the task yourself? Share the video today!